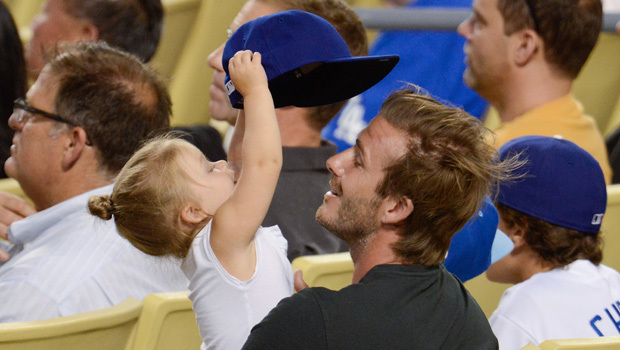 In David‘s continuing efforts to be the cutest Dad ever (he’s doing a pretty fantastic job), the latest daddy-daughter outing between Becks and two-year-old Harper took place at a baseball game between the Los Angeles Dodgers and Chicago Cubs earlier this week. 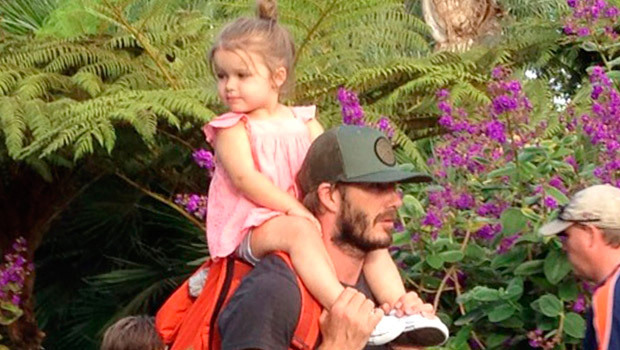 The tot, who was wearing a kitten print tee with jeans and her hair in a high bun, spent the duration of the game playing with David’s baseball cap and trying to stuff snacks into his mouth. David has been making the most of his recent retirement to hang out with his brood – just last week, he was spotted with Victoria and the kids at Disneyland, and took Harper and the boys to Legoland earlier this month.